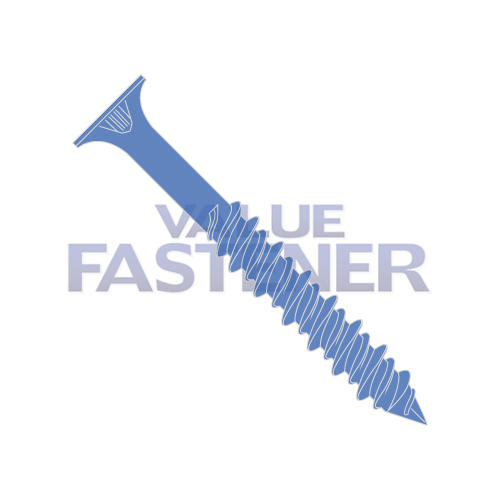 Concrete screws are available in a flat phillips head or a slotted hex washer style. Our concrete screws are made out of case hardened 1022 steel. Concrete screws come with a blue perma seal coating the provides corrosion resistance. Concrete screws are externally threaded and cut their own threads when used in concrete, block, or brick. This type of screw eliminates the need for an anchor when used in light or medium duty applications.